American Airlines' Terminal 8 at J.F.K. Airport looks like a bus station circa 1962 rather than a modern terminal for a major carrier. While waiting for my flight, I tried a Diet Coke made with Splenda (rather than NutraSweet). I guess it's a test-marketing thing. I like Splenda (a.k.a. sucralose) in the DietRite sodas, but it didn't do much for me in the Diet Coke. While on the flight, I sat in front of a mother and son. The latter was probably about 11 years old and spoke with an English accent (his mother seemed to be American). About an hour into the flight he asked his mother if she thought it was a good idae that we were building all of these robots. She seemed non-committal in her reply. Then the boy said: "It's only a matter of time before the robots rise up and enslave mankind." Creepy. Why are European airports much more civilized in providing luggage carts for free, as opposed to charging three bucks for them as they do in New York? At Stansted Airport in London, I witnessed a trio of Italian men basically confirming all the worst stereotypes as they repeatedly cut the line while boarding a flight to Rome. My RyanAir flight gave me a bird's eye view of the eternal city in the afternoon sun. I had clear views of recognizable landmarks such as St. Peter's Basilica and the Colosseum, as well as crumbling ancient aqueducts south of the city. It sure is convenient to be able to use the Euro in many different countries while traveling in Europe, but it didn't do me much good when the only ATM in Rome's Ciampino airport wasn't working when I needed local currency. There seem to be a LOT of Americans here in Rome. No doubt they are exploring the Angels and Demons tour of the city! Conclusion of the day: if you know a reasonable amount of high school Spanish, you can get by in Italy. After having brunch in an Italian cafe while being serenaded by Bob Dylan, I embarked on a three-hour walking tour of the city, focusing on the Colosseum, the Roman Forum, the Trevi Fountain, the Pantheon, and Piazza Navona. A group of nearly thirty of us were led around by an English-speaking Roman archaeologist/tour guide named Valentina (I recommend Enjoy Rome for English-speaking visitors; the company runs a handful of such tours around the city). In the evening, I got thoroughly lost and ended up walking miles out of the way before finally getting back to my hotel at around 11 p.m. I am now BONE-TIRED and have blisters as a result of seeing most of Rome on foot! My legs and feet are SO sore from yesterday's adventures that I am putting off my plans to see the Vatican until tomorrow. I can hardly put any weight on my left foot. Instead I'll spend more time recuperating in my hotel room today than I care to. Ugh! Well, I brought some books I've been waiting to dive into, so here goes. Earlier in the day I was getting worried that I might have somewhow broken my foot. I mean it HURT and I could barely walk on it. I was contemplating the hassles that would entail: dealing with a doctor abroad and all the insurance nightmares that go with that. Not to mention the prospect of being a gimp in rural Ireland and in London over the next week plus! Well I was not content to lie about and convalesce in my hotel room while in one of the world's great capitals for just a few days. So around 5 p.m. I gingerly made my way across the street to the Metro to set out and explore the city some more. I was limping around one of Rome's neighborhoods and no sooner did I stop thinking about the soreness of my left foot than it stopped hurting altogether and I could walk normally. Go figure! Maybe this former altar boy benefitted from the proximity of so many churches? There must have been something misaligned in my foot, a kink which worked its way out with a bit of exercise. Whatever the reason, my mood has picked up considerably! I did something horribly touristy last night in Rome. I had a craving for a burger, so I went to the Hard Rock Cafe. Huge mistake: had to wait too long for a table, the food was mediocre at best, and it all was horribly overpriced. I spent the afternoon fighting the crowds in Vatican City. Wednesdays are tough in general, given that the papal audiences in the morning tend to attract pilgrims in the middle of the week. But beyond that, my tour guide said the crowds outside St. Peter's Basilica were the toughest she's seen in five years. In a few minutes I am off to the airport for a flight back to London. Then first thing in the morning I fly to Shannon and then drive like mad in an attempt to make the 1 p.m. ferry to Inishmore.
. . . go to bed. My flight just landed at Leonardo da Vinci Airport and I am exhausted. Fortunately, I only had to walk to the Hilton adjacent to the terminal. In the morning I head to Florence. 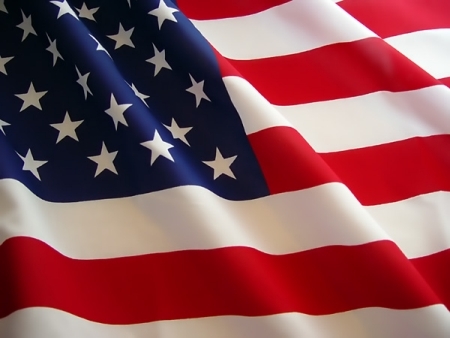 Happy Flag Day to everyone back home! I took the high-speed rail from Florence back to Rome this morning, cruising through the rolling hills and expansive green landscapes of Tuscany. 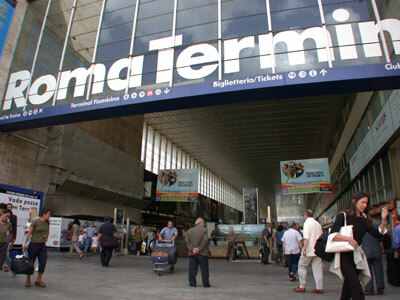 As soon as we pulled into Termini, I could feel the pulse of this city. There's an energy to Rome that's much more intense than a place like Florence can offer. This is a capital city, a center of politics and commerce and media. There's an almost palpable buzz one can feel in the air, not unlike what you experience when you arrive in the middle of New York City. 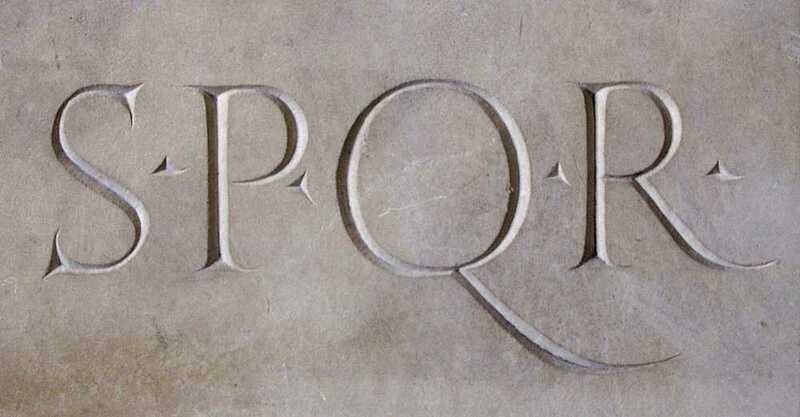 This page contains an archive of all entries posted to As Far As You Know in the Rome category. They are listed from oldest to newest. Rio de Janiero is the previous category. Ronkonkoma, NY is the next category.